*Erykah Badu has dived deeper in to where she came from and came up with something worthy. According to reports, the neo-soul queen is featured in a short documentary titled “Erykah Badu Discovers Her African Ancestry.” The film is the latest installment in Okayafrica’s “The Roots Of …” series. Badu’s experience in the documentary resulted in her discovering that her roots go back to a tribe in Cameroon. The singer, who said early in the film that she is a fifth–generation Dallasite, gave her thoughts on what she found out in the documentary via social media. “Well, as it turns out,” she tweeted Thursday morning, “I AM eryKAHBAduLahOblingadahhh model 799999 from the Sirius D star system, they say.” They do. 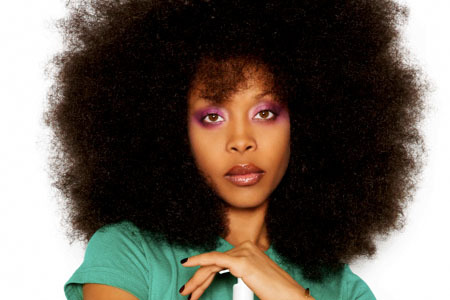 After shooting the film, Badu headed to South Africa, where she is recording her next album. Among those featured in past editions of the “The Roots Of …” series are “The Daily Show’s” Jessica Williams and Wyatt Cenac, The Roots’ Questlove and Black Thought, and A Tribe Called Quest’s Q-Tip. PLEASE,CAN U SHOW ME SECRETE PRIVACY?